Lissa Oak is a light shade of Oak and is popular for those wanting to brighten up the kitchen. Available in most DRAWER front designs. Available in most kitchen DOOR designs. Available in ALL DOOR / DRAWER designs. Available in Made to Measure sizes. Ready for dispatch in 6-11 working days. Supplied pre-drilled for hinges (optional). Ready for dispatch in 1-10 working days. Posted to you the sameday. Lissa Oak replacement kitchen doors and drawer fronts start at just £2.10. As you can imagine it would be impossible to completely capture the colour of any particular finish on a website. The finishes on this website should be only be used as a guide, especially as colours can be rendered differently depending on the type of monitor. For this reason Homestyle happily post free samples of the actual material that is used to make kitchen doors, drawer fronts and accessories. Click the button to request a free large sample swatch of Lissa Oak. Click the button to purchase a Sample Lissa Oak finish kitchen door. You will choose the door design on the next page. The Lissa Oak finish is available in ALL kitchen door and drawer front designs. Click the button below to view the complete range of designs. 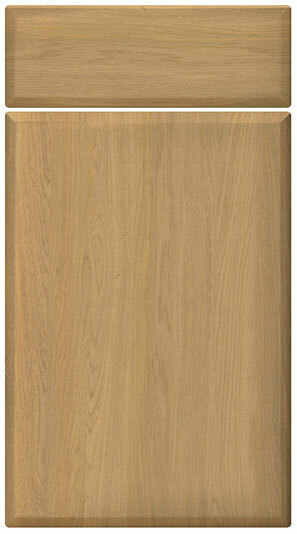 The Lissa Oak finish is available in MOST kitchen door and drawer front designs. Click the button below to view the complete range of kitchen door designs and look for designs that state 'available in high gloss finishes'. There is also a large range of Lissa Oak accessories available. For example Lissa Oak cornice, Lissa Oak pelmet, Lissa Oak plinth/kickboards and Lissa Oak panels. Click the button below and check the individual accessory for the availability and leadtime. Free Express UK Mainland Delivery on all orders over £250.00 (for a limited time only). See the 'Lead Times and Delivery Costs' page for more information. All the prices shown include VAT and there is no minimum order value. Sample doors are a great way to ensure you know exactly how your new kitchen will look. Web based images sometimes do not give a completely accurate portrayal of the door, so once you have decided on the door design and finish you like, it's a good idea to order that sample. Homestyle charge just £12.00 £5.99 inc P+P for a full sized sample door. Click the button to purchase a Sample Lissa Oak kitchen cabinet door.